I'm J E A L O U S! 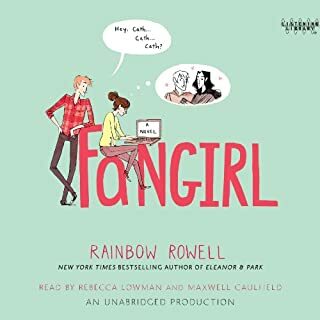 This is one of my favorite recent contemporary books, and I was curious to see how the audiobook experience compared to the print version. 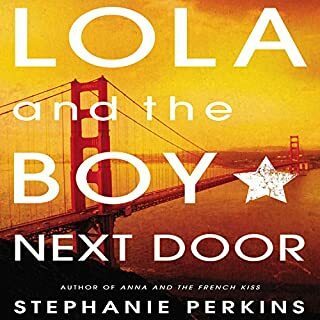 This audiobook release was timed with the release of Lola and the Boy Next Door and I picked up both books to revisit. 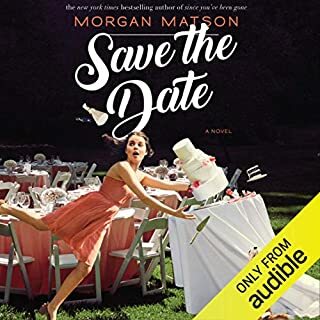 The audiobook narrator is Kim Mai Guest, who has narrated several books including Incarceron, Dearly, Departed, and The Autobiography of Mrs. Tom Thumb. At first, the voice of Anna sounded a little bubblier than I imaged her. The narration reminded me a little of Delirium’s Sarah Drew and her portrayal of Lena. However, Guest quickly won me over with her interpretation of Anna and delivers an authentic performance. She also capably handles the nuances of the other characters including their different accents. She even does a fine job with St. Clair’s British accent, and captures the spirit of his character well. There is a roller coaster of emotions found in the book and Guest handles the different feelings needed with ease. 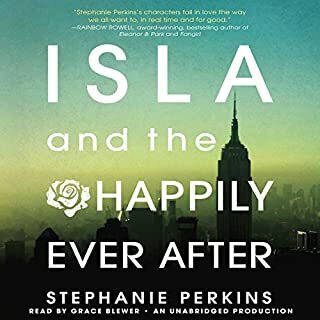 The narration flowed well, and the only thing I wondered about is if it would have worked to have a male narrator for St. Clair and the other male roles. Not sure if I would have liked it more, but it did cross my mind. I loved revisiting this book again and the wonderful Paris setting. If you’ve never read Anna or want to read it again, try out the audio version. It’s a treat to listen to and a swoon-worthy contemporary romance. 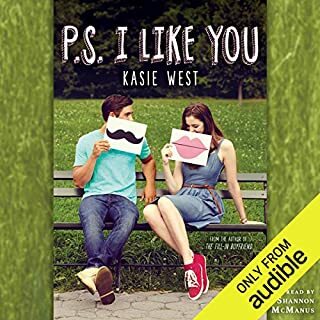 I would definitely pick up other audiobooks narrated by Kim Mai Guest in the future. I really enjoyed this book. Very sweet young love and everything that goes along with that. Communication issues, misunderstandings, jealousy, stupidity and in the end, love wins out! The brilliant performance of Kim M. Guest of Anna’s point view leaves you not doubt of the talented writing behind the character. The perfect approach to Anna’s personality clearly conveyed all her qualities and emotions, and in the process captures your heart. I hated this. Maybe I'm too old for it but it was so irritating so listen to this story with a girl written to be so stupid and dependent on everyone else (especially guys) to feel worthy of anything. I'm not even a feminist but this was unbearable. I only listened because it came highly recommended but holy wow it was bad. It was a cute story from the beginning. Perfectly captures the feelings of a girl in love or with a massive crush. The narrator's british accent could've been better. It was predictable but it's light and easy to listen to and you can easily like the characters and the way they react to each other. Quite realistic on that front. Maybe best for an audience below the age of 18. Anna's naive character can be either adorable or annoying depending on how you take it. I liked the book. To be honest I had some trouble adjusting to the voices but after a while it really grew on me. Plus it is a fantastic story!!!! Updated 9/1/2012: 2nd reading of this novel and it filled me with more happiness than the first time. I was able to get a better feel for the minor characters (Rash, Josh, and Mer) and loved them - I would read about their own adventures as well. Of course, I fell in love with St. Clair and I can't believe I forgot how much I adore Anna. Still love this book as much (if not more) than I did the first time I read it. My first "Chick-Lit" book. If you're wary, DON'T BE! It doesn't matter if you don't think Chick-Lit will be for you or not - you will adore this book. 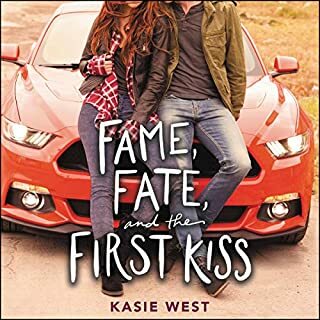 I have been on a YA Contemp binge lately and this has been my favorite so far. Perkins' writing style is free-flowing, nice, and true to the heart of a teenage girl. Anna is likable. Is she perfect? No, but she is imperfectly perfect. I want Anna as my best friend. The idea that home can be a PERSON, and not a place. This book made me feel warm and fuzzy and just plain HAPPY. I smiled while I was reading this book - not (always) a giddy "hehehe - he's so cute" smile - but a genuine smile. 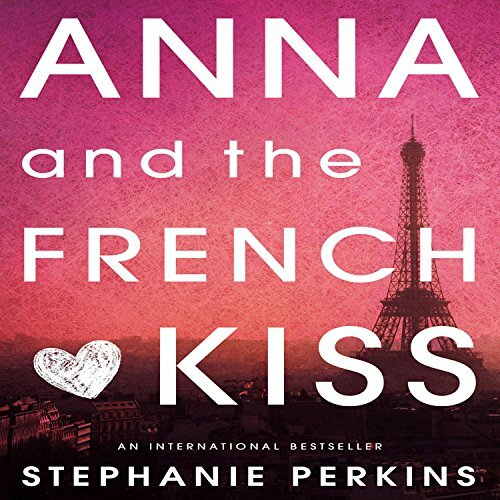 That, above all, is what made me fall in love with Anna and the French Kiss. Tatiana from GoodReads recommends this book for fans of Meg Cabot and I couldn't agree more. I have read all three books and now I can listen to them. This book has open my eyes to boarding schools and the opportunity they bring. Thank you so much Stephanie for such an amazing author. We all love you! I adore this book and have read it multiple times, but I had a really hard time listening to St. Clair's accent. He sounded like an old man, and it took me out of the story.